Originally designed to help improve survivability against rifle-caliber ammo. 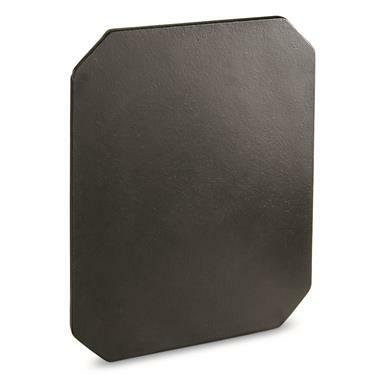 This ProTech Tactical Threat Type III Steel Plate is brand new, never issued, but has passed its expiration date. A cool conversation piece to keep around your shop or office.